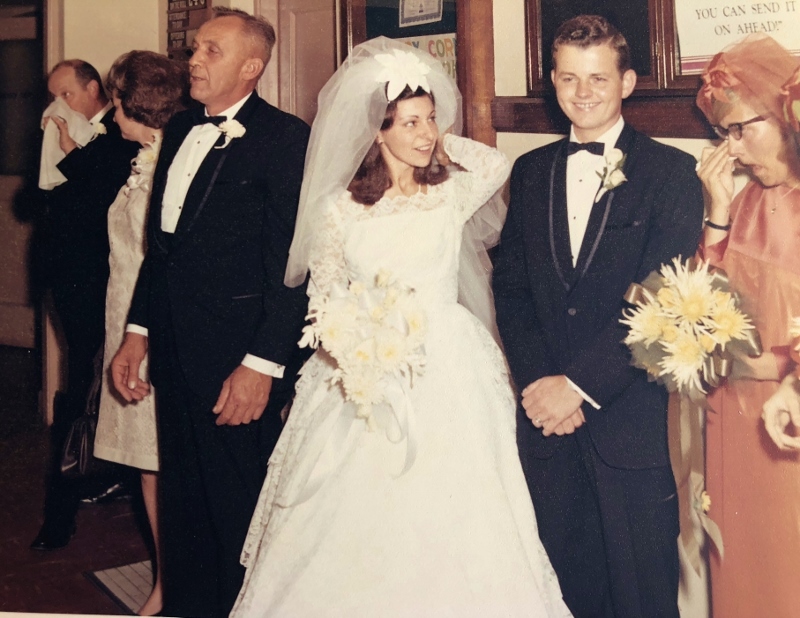 There are just a few more pictures from our wedding album from September 21, 1968, that are great captures of family and friends that I love. The first is from just after the ceremony as our parents came out and we began to form our reception line in the church hallway. That's Mom in the blue dress kissing me and Bob is extending his hand to my father who looks like he's about to grab him with both hands. The one that stands out there though is my brother. 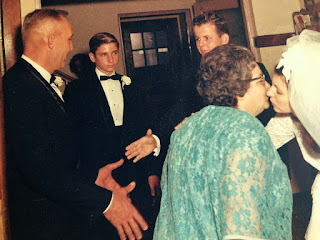 He was sixteen at the time and I can't explain the look that he seems to be giving Bob. Is it You'd-Better-Take-Care-Of-My-Sister? Or Am-I-Really-Gaining-A-Brother? Strange as it may seem I think I've seen that look more than once through the years but now it's more a Is-He-Kidding? look. After all to know Bob is to know there's a strange sense of humor sometimes. Reception line all set up, the photographer caught another great picture. On one end of the line my new father-in-law is wiping his eyes and blowing his nose. On the other end is my maid of honor wiping tears. And there in the middle is that famous Bob grin. White hair (and a little less) today but that grin still holds true. And I end The wedding pictures with the one of the bridal party dancing. 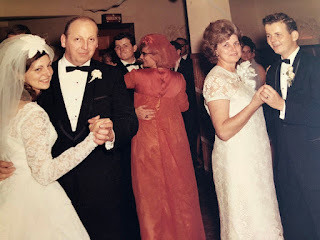 There in the background is Bob's twin dancing with my maid of honor. I have no idea what prompted that expression on his face. I've seen that expression a few times over the years. I still can't explain it. We had only three days for a honeymoon and had chosen Lake Hope in the Hocking Hills in southern Ohio as our destination. Close enough to get home quickly and cheap enough to fit into our budget. We had a little cabin on the park grounds near the lodge. What we didn't count on was that there would be a convention of park rangers there as well. 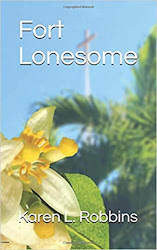 We stood out and learned we were dubbed the honeymooners. It was a lovely three days in the fall. I mention fall because that's what the acorns were doing--falling. Behind our cabin was a propane tank that was used to heat the cabin in winter. With the window open we could hear an acorn smack against each leaf as it fell and then ping as it hit the propane tank. It was almost rhythmic. We'd hear the sound of the leaves and wait for the ping. I collected one of the acorns and later preserved it in plastic. It's the only souvenir we have. 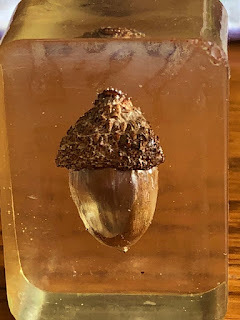 This acorn is 50 years old and while it never grew into a mighty oak tree, you might say it was the beginning of a strong and sturdy marriage.